Groups with X-subnormal 2-maximal subgroups are investigated for an arbitrary hereditary formation X. In such a group, all proper subgroups have nilpotent X-residuals. The cases in which X = A1F for some hereditary formation F or X is a solvable saturated formation are studied in more detail. 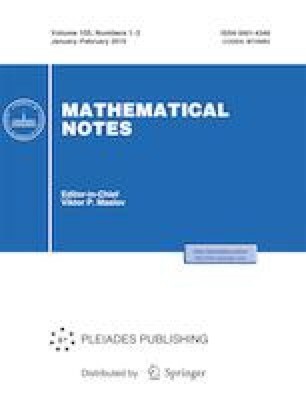 Russian Text © V. S. Monakhov, 2019, published in Matematicheskie Zametki, 2019, Vol. 105, No. 2, pp. 269–277.